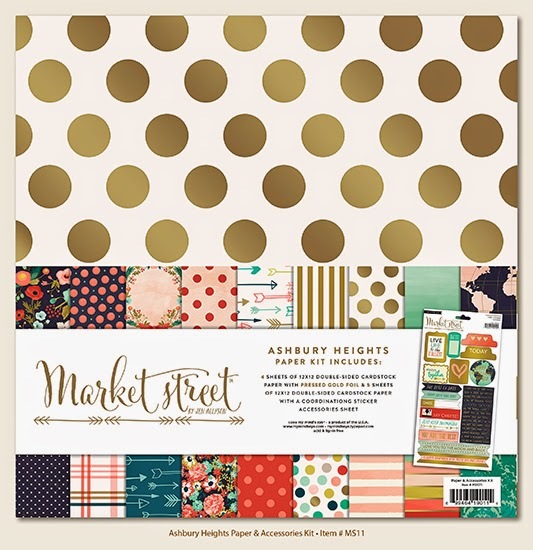 Sketch #7 is part of a mini series I'm working on using just a collection pack - the Market Street Ashbury Heights collection by My Mind's Eye. It had 9 papers in it and I was aiming for around 6 layouts/sides. So far I've done two single layouts and one double, and then there is also today's single layout, so far I am doing well. I have added a few bits of card to my kit and I've also added q few embellishments, Thickers and washi tape as there was none of that in the pack - just one small set of stickers. My layouts would have been a bit sparse without adding to the kit at all. Thank you so very much for watching and I'll be back in a few days with another video.